We also cater Breakfast Meetings , Group Events and weddings any day of the week. Winemakers dinners, musical series with local virtuoso talent and themed events sprinkled throughout the seasons. 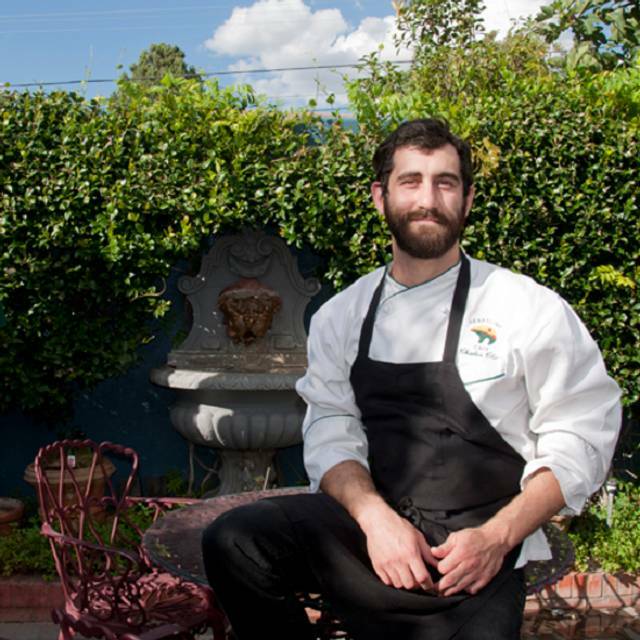 Award winning Catering for all occasions, ranked among the best wedding caterers by brides in a survey on www.theknot.com. On and Off Premise locations available, including creekside, red rock views, "Tlaquepaque" Mexican architecture site and unique chapels around Sedona, Arizona. Private dining room & garden patio available. Corporate Events and Weddings are our specialties. No event too small or too large. Available for photo/film/commercial shoots and craft services. At the Heartline Cafe we are proud to present delicious food, exquisite settings and impeccable service to make your special day event one to remember. 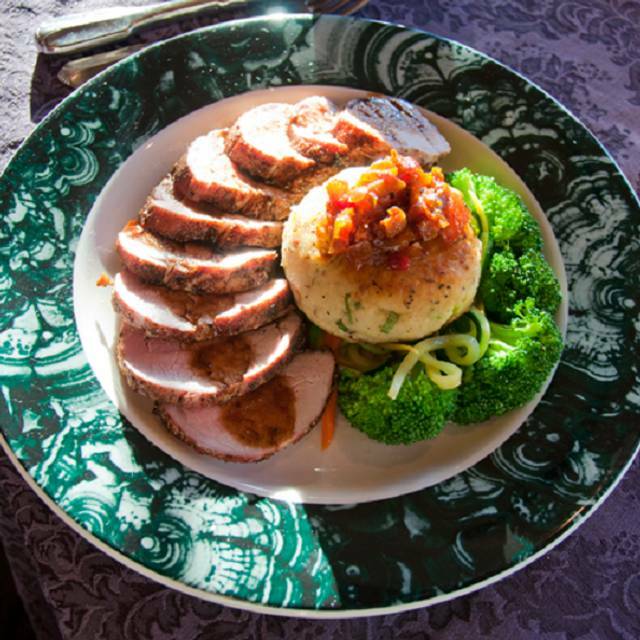 We offer our Restaurant, Garden Patio, Fireside Room and Gourmet Patio for your special event or private dining. 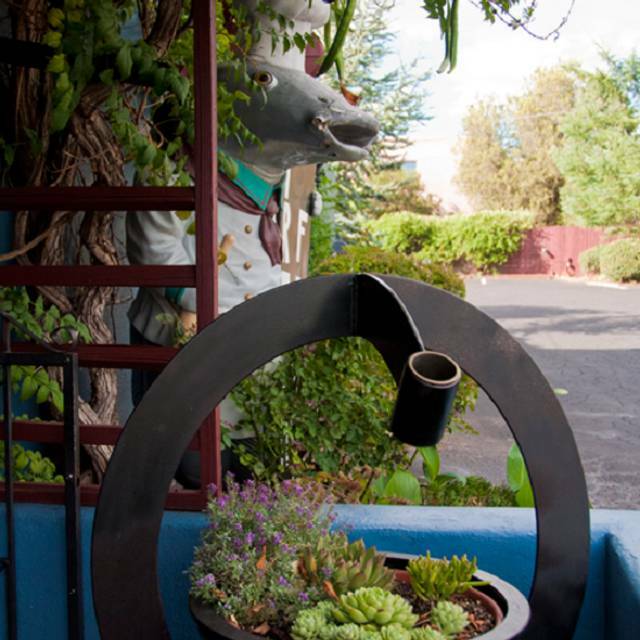 Mystical Sedona, the home of The Heartline Cafe for 28 years. 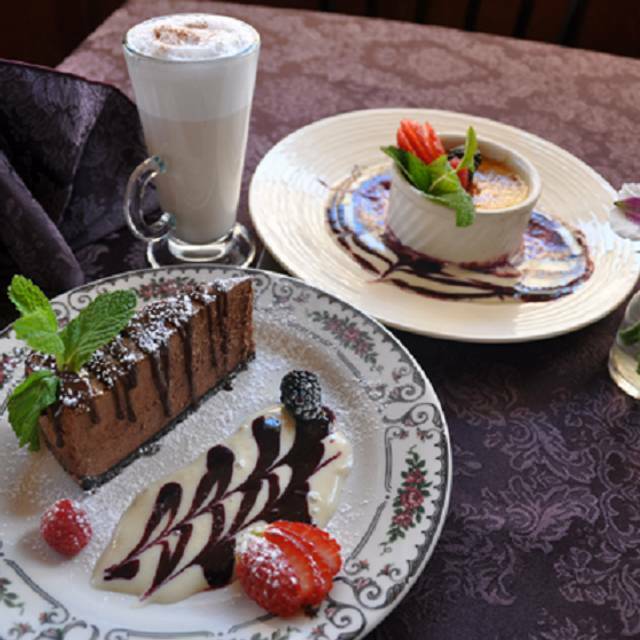 During this time The Heartline Cafe has been serving award winning cuisine in its beautiful main dining room, Fireside room and the Patio amidst luscious gardens and a spectacular view of the Sedona"s world famous red rock mountains. 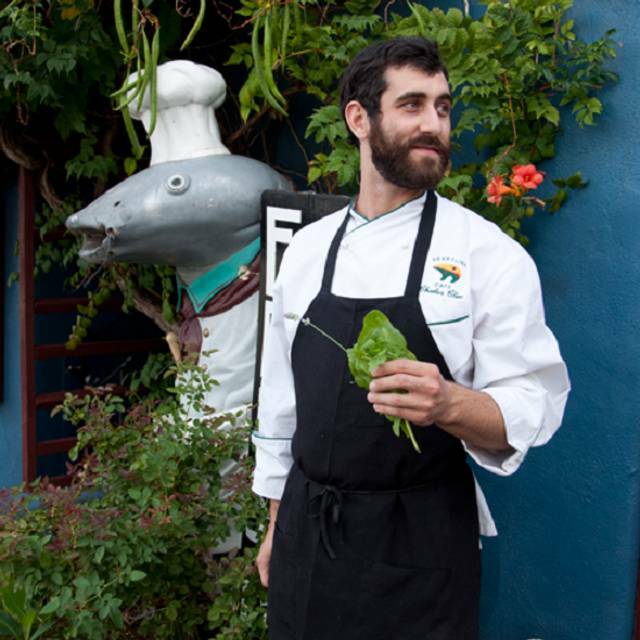 The Heartline Cafe serves brunch and dinner in our exquisite dining room or patio gardens. 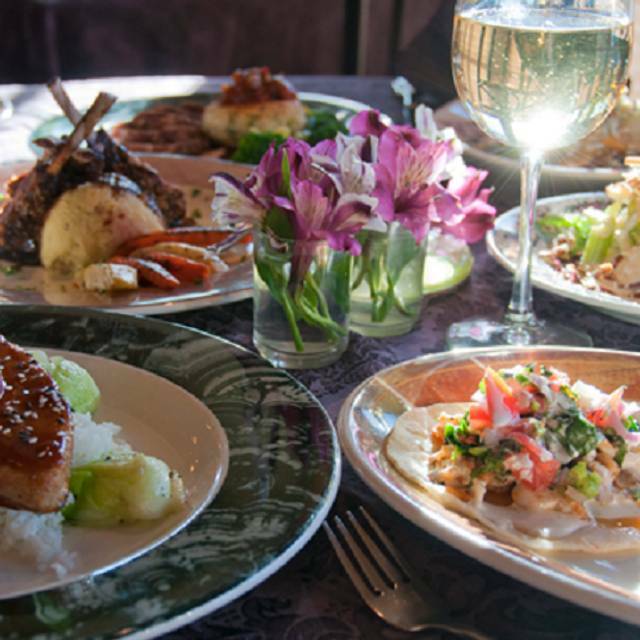 The Heartline Cafe features an extensive wine list including many spectacular local varieties. The wait staff is meticulously trained to provide superior service assuring a fine dining experience. The Heartline Cafe has recently been named the winner of three awards in a poll conducted by Market Surveys of America. We invite you to tour our web site for additional information. 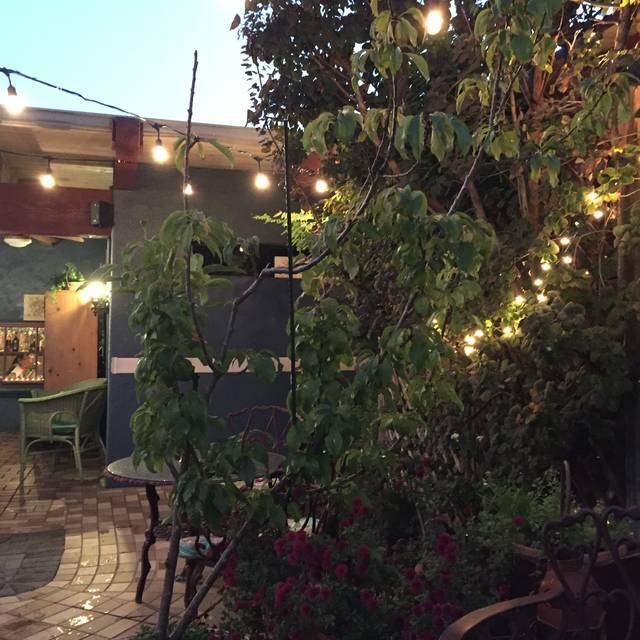 The Heartline cafe offers vegan and gluten-free options, and is dog-friendly. Wine Spectator award recipient for 25 years. Serving Sedona for 28 years!! Available 7 days a week for catering! Please call to inquire! We were very disappointed with our experience here. They brought us the wine list, when I made my selection, a glass of red burgundy, the server came back with 2 bottles of red and said these were the only options for red by the glass... I was so shocked. He brought me a taste of both and I picked a Malbec - fine but unremarkable. The soups, bread, and crab cake starter were excellent. Both entrees were very disappointing. My prime rib was over cooked- I requested between medium rare & medium and it came medium well, with HALF the meet cooked well done. It was so over cooked I didn’t even want to take it home. It was tough & lacked flavor. The horseradish cream sauce added flavor & moisture. My husband got the pecan crusted trout and said it was prepared so poorly - parts of the trout were really over cooked and dry, the pecans were drowned in oil, and most of the pecans were burned. The side vegetables were cooked unevenly, with the broccoli nearly raw, and his rice pilaf was soggy & flavorless. Yikes! We skipped dessert not wanting to spend another dollar here. The waiter was pretty good in delivering good service within the limitations. We set the appointment for dinner about six weeks ago. We got reminders to make sure we were coming. We got to the restaurant and there was a sign on the door that they were closed for a private party. Why couldn’t you guys of let us know we ended up having to hunt around for a place to eat on a Friday night in Sedona wow? Our server was great. It was a nice quiet dinner with excellent food and wine. Their patio is wonderful. Their food is delicious. The service was friendly. Wjat mire could you ask for? We look forward to returning soon. First time here and what a great experience. Every bite was delightful. Service and atmosphere were on point. We had such a great time. Their Flourless Chocolate cake was very good. All the food and service were exceptional. Their poached pear dessert is fantastic. All of their food is. Definately looking forward to try again. A great quick bite to eat. Could have stayed there all night though. We will br back again soon. I went with my 7 yr old daughter for our combined February birthday dinners. It was fabulous! Everything tasted fresh and light and delicious. The service was wonderful as well. Loved this find in Sedona. The drinks and food are good. The service is top notch. We always eat at the Heartline when we come to Sedona. The pecan encrusted trout is wonderful. This is not the sort of restaurant we expect when we make a reservation on Open Table. Excellent experience! Sara our waitress was amazing :) She catered to our needs and also entertained local ideas! Lovely place - delicious food. 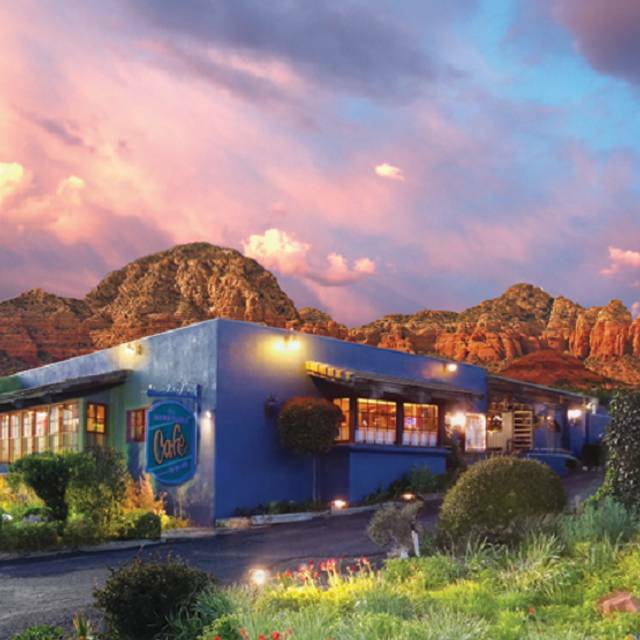 This is the best restaurant in Sedona! Fantastic menu and food. Outstanding service! 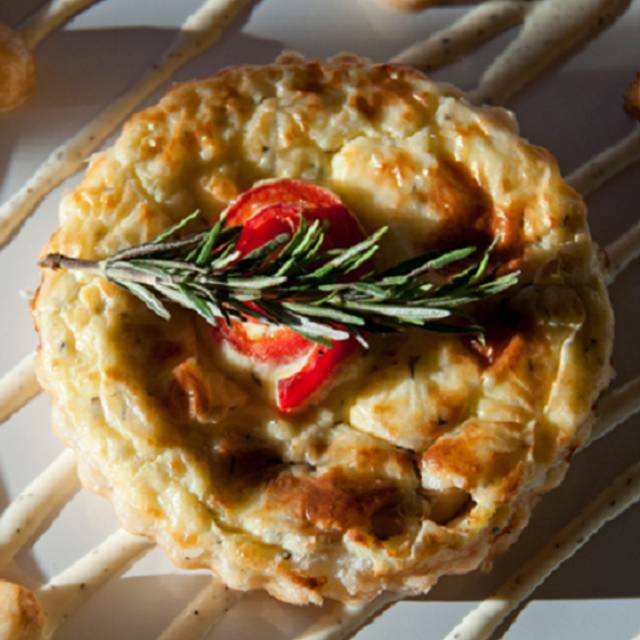 This is a must go to dinner in Sedona!! Dinner just after Valentines day was amazing. Thank you! Our service was very warm and personable. The food was good but not outstanding. The environment is also warm and welcoming! We went to eat trout, but waitress said it wasn’t delivered by distributor for some reason. The crab cakes were burnt and tasteless. Margarita was terrible and sent back. Rest of food was mediocre. It was overpriced for quality of food! We had an excellent dinner. The rack of lamb is outstanding and the trout is next best. Our only problem is their limited beer supply. There was 1 each of a Corona and Amstel Light. No Coors at all. We are not fond of the local beers. The trout was fantastic so were the crab cakes. Definitely try dessert. Everything was great from beginning to end. Service and food good value. Unfortunately someone at the table next to us decided to argue loudly about personal problems and drug usage almost the entire time we were there. Staff did nothing to urge them to keep their voice down. Waitress was excellent and pleasant. Owner was very accommodating. Last year's experience there was bad but they certainly made up for it this year. The food was good but the service was not. The server kept sharing all of their problems ie: sorry the bread isn’t ready , we forgot about it and it burned so we’re remaking it . sorry we’re serving the salad on these plates, we ran out of salad plates. When we asked for more bread they said they were completely out of bread because they had more people than expected. They served the kids meal at least 30 minutes before everyone else. The kid is a tween not a 2 year old so she had to eat alone and sit without food while the rest of the table ate. They didn’t have enough menus for our 6 person table. It’s not a big deal but just showed a pretty disorganized restaurant. Only saving grace is that the food was at least good. My husband and I both ordered filets. His was very chewy and while mine was fine, the steak didn’t have much flavor. It needed the sauce that came on it. The restaurant was nice and removed his from the bill, the food was disappointing. Thanksgiving. A total flop. Service terrible and food ordinary. Wanted it to be special for my family but huge disappointment. Even our server told us to write a review cause of how off they were. Our wine never arrived despite asking twice. Thanksgiving Day set menu was excellent but staff shortages inhibited service. The decor was rustic. We expected something more upscale for Thanksgiving. The set menu did not offer much variety. No choices for soupand salad and two options for main course. Although the food was good it was overpriced. The service was adequate but we felt that the server lacked experience and was trying her best. I am sure that the restaurant might be a good choice for lunch or dinner after a busy day. Good food. Warm and friendly staff. Everything ran smoothly despite being a busy time. Tried the Trout and Lamb, both were exceptional. The portions were generous. We felt full but still ordered their homemade cinnamon ice cream. The staff was extremely friendly and professional. The chef created an amazing meal. I had the cauliflower steak & my husband the real steak. Both were amazing!!! Started with one of the best soups I’ve ever had. Sadly, the entree that followed was a disappointment. My meat was significantly overcooked, and when I sent it back I apparently offended the chef. Our waitress was gracious and kind throughout, but it just wasn’t a great experience overall. we apologized for your entree being prepared at wrong temp. the owner had a replacement immediately fired up and you said it was perfect. your entree was comped. you did not offend the chef at all. we also offered you complimentary dessert but you declined. again, a mistake was made and we did the right thing. why was this not mentioned in your post?